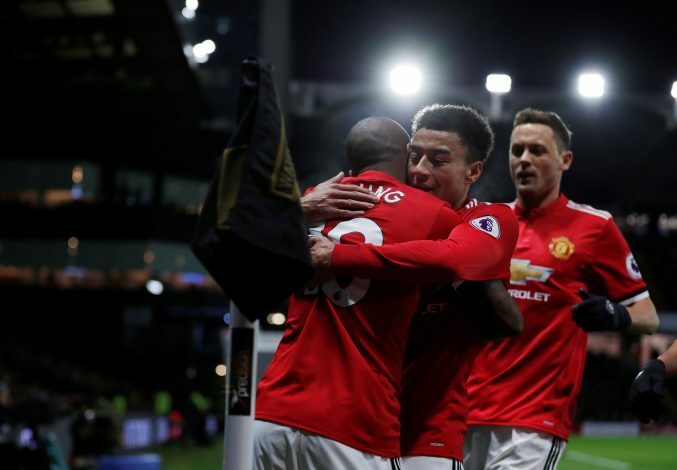 Manchester United finally broke their hoodoo away from home against the big 6, with a brilliant display of defensive resoluteness and counter-attacking in their 3-1 win over Arsenal at the Emirates. 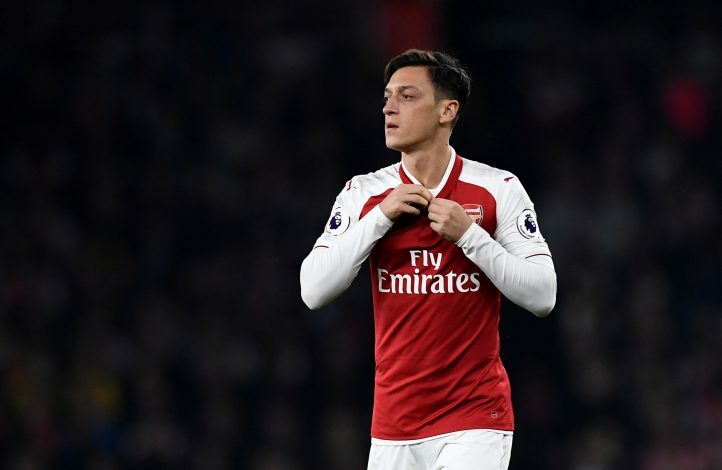 The Gunners dominated the game from start to finish, and had the ball for almost the entirety of the match, but were outdone by three marvelous pieces of counter attacking football. 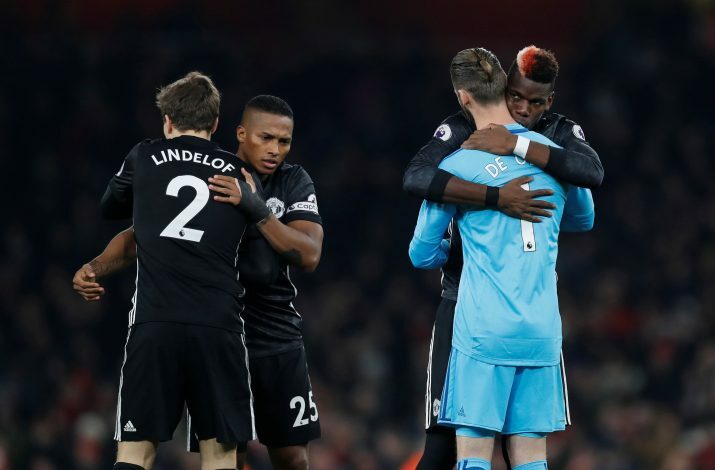 David De Gea emerged as the hero yet again with a heavenly display between the sticks, while Arsenal will be cursing their luck for not being able to find a way through him despite a number of golden chances being presented to them. Aaron Ramsey was the star of the show for Arsenal, but Romelu Lukaku failed to make a direct impact on the scoreline yet again. Could have done a lot better for the opener and practically gave up for the third goal. Otherwise, his reading of the game remains as good as ever, and he came out of his area brilliantly on a number of occasions. Shaky performance from the skipper. At fault for two goals and struggled to handle United when they counter-attacked. Lingard and Pogba were a handful for him and he struggled to cope with their pressing. Went off injured right after the second goal, and will not be pleased with his display in the minutes he got to play. Stayed in attack and got into a number of dangerous positions as his side pressed for an equalizer. Never hesitated to shoot, and was caught offside on a few occasions as well. Took on the role of a winger in this game because Arsenal barely had to do any defending. Always had the beating of his marker and came close with a brilliant fizzing shot that was kept out by De Gea. Superb. Easily one of Ramsey’s best performances and he has really found his form recently. Could not get the leveler his side were desperately searching for but created a number of chances for his teammates, and was an ever-present figure on the ball. Incredibly unselfish for his side’s only goal of the game as well. Appeared to be a terrible miss at first, but replays showed that it was a magnificent piece of play that ensured his side pulled one back. Goes without saying, but Xhaka really needs to learn how to control his temper. Got frustrated way too easily at times, and it led to him conceding very unnecessary free-kicks. Missed a proper guilt edged chance in the first 45 minutes to pull one back for his side as well. A bit erratic, and needs to compose himself in the big games. Launched a brilliant shot at De Gea that was obviously saved by the god-like Spaniard. Was lucky not to set up Lukaku for a third goal at 2-0 when he stuck out a boot to try and send it out for a corner. Crucial in battering out counter attacks that came his way and ran back on several occasions to protect his defense. Put his body on the line to avoid Martial scoring the third goal when the ball ricocheted off the post. Good performance. Drifted in and out of the game but genuinely tried to create something out of nothing against a side he may join in January or the summer. Had a shot on goal that was straight at De Gea. Brilliant on the ball, but just couldn’t make it count. The Chilean didn’t have the best of days but his work ethic never let up. Put a number of crosses into the box and ran around the area a lot, but could not prove to be the decisive figure when it mattered most. Should have done better when a shot from Lacazette was saved by De Gea and the rebound presented itself favourably, but his shot gave United’s keeper a good chance to save it, and that is exactly what he did. Wasn’t even meant to play today, as Wenger had claimed he was injured. Ended up starting the match and was brilliant, having a number of efforts on goal and coming ever so close to scoring, only to be denied by the best keeper in the world. Scored the only goal of the game with a lovely finish from Ramsey’s pass. Surprisingly came on for Mustafi with the scores at 2-0, but the substitution was a sign of things to come. Falling two behind gave Wenger no choice but to send an attacker on to try and pull the scores back, and Iwobi performed his task brilliantly. He may have failed to inspire a comeback, but he definitely did bring more pace, control and intent to Arsenal’s play. Magnificent. There is nothing more than can be said about this performance. Made some ridiculous saves throughout, denying Lacazette, Bellerin, Kolasinac, Sanchez and even an unbelievable scissors kick from his own team-mate, Romelu Lukaku. Arsenal fans began to boo him because they just couldn’t stand the sight of him anymore. Supernatural. Brilliant strike for the goal, but invisible afterwards. Had little to no input going forward and got constantly beaten by Sanchez and Özil out wide. Tough test against one of the best clubs in the league and he passed it with flying colors. Held on very tightly and did not allow Arsenal a way through despite their dominance and chances. Getting better week by week and seems to be cutting out the nerves that impaled him in his first few games for United. Very composed in possession of the ball as well. Lost Lacazette for the opener but was crucial in helping to keep all 10 of Arsenal’s players at bay. Still finding himself after a lengthy injury lay-off and that was evident on the night. A lot of clumsy errors and he will hope to get those out of his game as soon as possible or it could cost United someday. Not quite the Watford display but made a nuisance of himself when on the ball. His dribbling drew in a lot of fouls, which clearly got on the nerves of a number of the Gunners’ players. There was no midfield battle for him to contest because there wasn’t a single Arsenal player bar Cech who wasn’t in United’s half for a majority of the game. Slightly shaky start but was fantastic from then on. Could do nothing to help the attack but was brilliant with his defensive duties, and effectively stopped a goal as well. Went for the ball, but Bellerin’s lunge saw Pogba’s studs go straight into the Spaniard. Probably harsh as a straight red, but understandable as well. Up until that moment, he was superb. All of United’s counter attacks came through him and the third goal was all his doing. Will be a massive miss for the Manchester derby. Mourinho will have loved the way the Englishman performed. Energetic throughout and forced the Arsenal defense into making a number of errors, especially for the second goal. Took both his goals delightfully, and both came as a result of his brilliant running between the channels. Lingard is in the form of his life at the moment, and will be pleased with yet another terrific display after his showing at Watford. Was a menace on the counter but only had fleeting moments due to Arsenal hogging the lion’s share of possession. Superb involvement in the second goal though, and he continues to influence the amount of goals United score – be it in assists, or scoring himself. Yet another game to forget for the Belgian. Despite the hosts’ dominance, Lukaku did have a lot of touches but did nothing with them. Contributed to the second goal, but that was the only decent involvement he had in the entire game. Manchester City are up next, and he is likely to start yet again, but one can only imagine how his performance will be affected in that game now that Pogba is suspended for it.